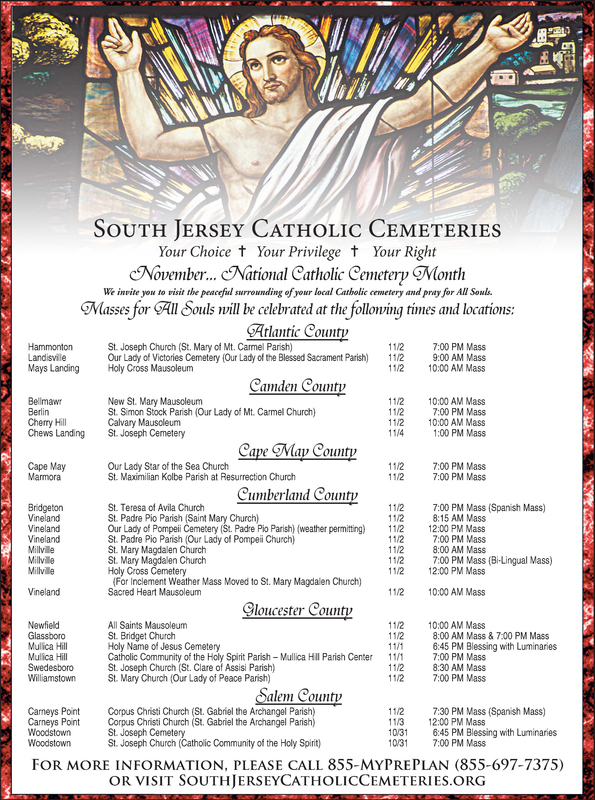 South Jersey Catholic Cemeteries invites you to attend Mass for All Souls. 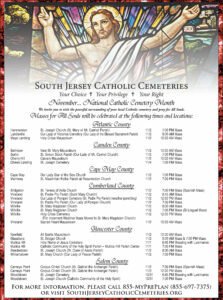 Mass will be celebrated at our cemeteries located throughout southern New Jersey. Refer to the mass schedule below.